Get ready to go on a visual sci-fi adventure as Europa and director Luc Besson release their teaser trailer for next year’s upcoming movie Valerian (or its full title Valerian and the City of a Thousand Planets). View trailer below. 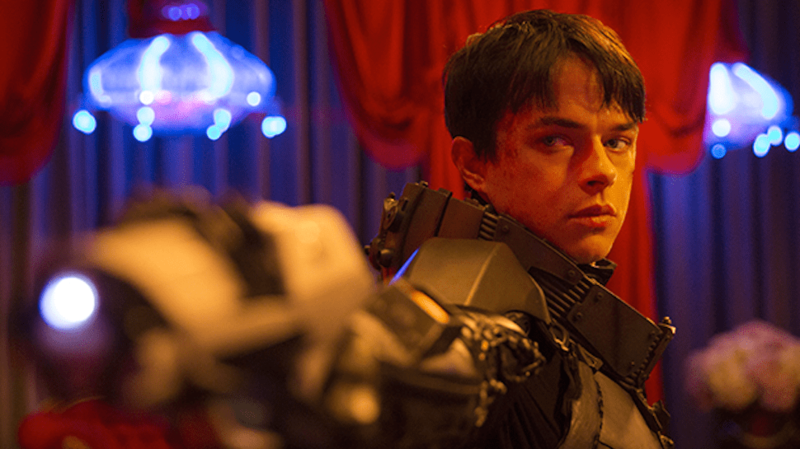 Rooted in the classic graphic novel series, Valerian and Laureline- visionary writer/director Luc Besson advances this iconic source material into a contemporary, unique and epic science fiction saga.Valerian (Dane DeHaan) and Laureline (Cara Delevingne) are special operatives for the government of the human territories charged with maintaining order throughout the universe. Hmmm….interesting. This looks interesting. While I have heard of the graphic novel, I’ve never picked one up, so I’m complete in the dark about what Valerian is all about with only the summary above to shine some light on the story. As for the movie, it looks like a summer blockbuster feature, with plenty of CG visuals. While they don’t look as sharp as some blockbuster movies out there, the film’s visuals are pretty creative and imaginative with all the various creatures, locales, and other sci-fi nuances. Will this movie be good…who knows. We’ll just have to wait and see. I need to put this up on my site because as soon as I saw it I started having flashbacks to The Fifth Element and how it was probably the worst choice for a date movie I have ever made in my liiiiiife. Besson has found his Sixth Element lol. Haha…too funny. Yeah, this new movie definitely looks like Fifth Element. I wouldn’t be surprised if Bruce Willis, Milla Jovovich, or Chris Tucker’s characters to show up in Valerian.